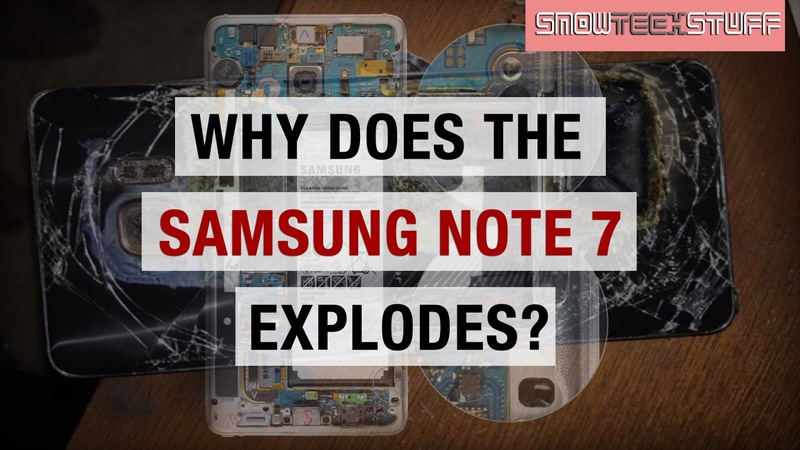 Why The Galaxy Note 7 Explode? Ever wanted to know why Samsung’s flagship phone is dubbed as “Elegant Explosive?” This might be the answer. This year, Samsung recalled millions of Galaxy Note 7 devices around the world, because of the fact that, Samsung itself cannot prevent the explosion of their phones. We all know that explosions are related to batteries because that is the only thing that may cause it, but do you ever know the cause behind explosion of newer phones and battery models itself? Anna Shedletsky, CEO and Founder of Instrumental, Inc, and a former Apple engineer. might had figured it out. On tearing down a Galaxy Note 7, she and Samuel Weiss figured out that Samsung’s claims to a cutting-edge battery design may have been the cause. Samsung’s thirst for innovation meant that engineers were forced to push the boundaries of battery design, and their quest for higher capacities in a small footprint meant that the polymer separator layers had to be extremely thin – thinner than competing batteries. That meant a lower safety margin in the event of swelling due to heat, outside pressure (when the phone is accidentally sat on) and normal mechanical swell from use. Because of how thin these layers are, it’s entirely possible that the battery was being squeezed to the point where the positive and negative layers would touch, causing the battery to explode. Samsung pushed the boundaries of its design and technology in many parts of the Note 7, but unfortunately they’d pushed too far. Because of their super-aggressive design approach to the Note 7 and in an attempt to capitalize on Apple’s lack of innovation, They have to pay the price of a damaged reputation and over $5 billion in lost revenue due to the global Note 7 recall. Sorry Samsung, that’s how it goes. The Note 7 is definitely a beautiful and a powerful phone, but failed due to aggressive approach on design. This should be a lesson not only to Samsung itself but also to other phone and battery manufacturers out there.